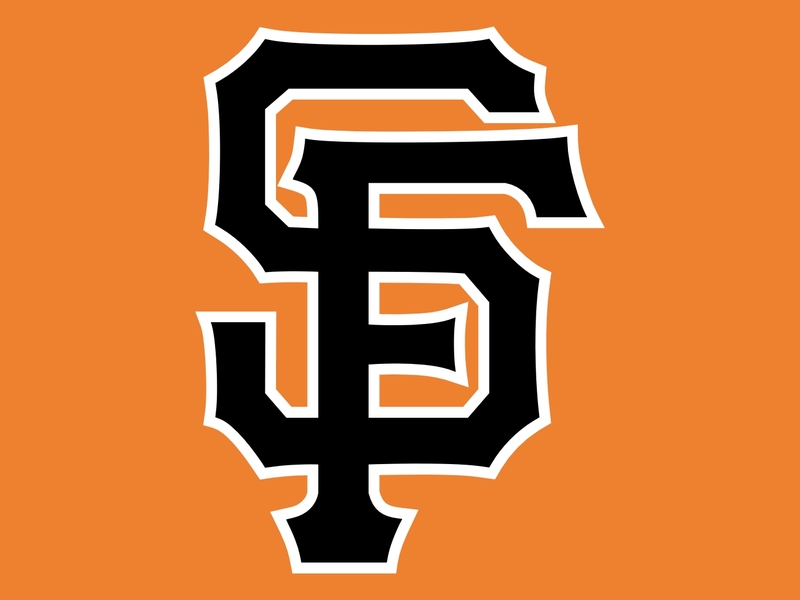 Looks like the San Francisco Giants are going to the World Series! I don’t really wants baseball, but at times like this, it’s fun to be a fan. 2008 IRS Cheque – Backdated or Helpfully Remailed? A few weeks ago I received a letter from the IRS. Thinking it was some kind of assessment notice, I panicked and left it unopened for a couple days. Strength soon found me, and I opened to the letter to find a reissued cheque from 2008 for over $1500 dollars! That’s what you do if there’s an earthquake. I practiced it today at 10:21 am. Herbal Body Wraps are this new spa thing that seems to be really popular here. I regularly hear ads on the local pop music stations for that treatment. It’s supposed to be great for weight loss, skin rejuvination, etc. etc. Is this popular in Canada? I don’t normally go for those things, but a friend of mine bought me a 75 minute organic herbal body wrap for my bday! She bought it from one of those Groupon clone sites and probably got a good deal. The original price for the treatment was around almost $100! I had my treatment yesterday. It was … itchy. I arrived at the spa on time. The receptionist directed me to a lounge, where I would wait for my “technician”. The place had the usual spa vibe — the wooden flute music, green tea with little japanese style cups to drink from, lots of unfinished wood, and attractive, healthy looking staff all wearing those flowy spa clothes that somehow manage to show off the person’s slim figure while using twice the material of normal clothes. What’s with these people who love to bake but then fob off their treats to victims in the workplace? We have this new hire here whose roommate apparently loves to bake. Those two don’t want to eat the stuff so the new hire has been bringing the treats in to work to get rid of them. So far they’ve been in the “look good but taste weird” category. They’re bakery perfect to look at – evenly sized cookies, lovely colour — but when I bite in something’s off. Most recently she brought in some brownie concoction that looked harmless but proved to be lethal when I swallowed. It was either salty or spicy. I don’t really remember — I’ve blocked the details from my mind. After I recovered I IM’d my coworker who, as it turned out, was also recovering from a similar problem at his desk. He didn’t know what was going on with those brownies either. The lesson here is clearly to avoid that woman and her roommate’s suspicious baked goods. Nowadays it’s typically more expensive to bake then it is to buy. Baking chocolate chip cookies? The butter and chocolate alone will cost more than store bought. So these bakers-but-not-eaters are spending their money and time to make something and then not enjoying it! It’s kind of sad when I think about it that way, especially when I add in the fact that I’m sure half the coworkers who eat the stuff just go back to their desk and complain about it the way I complained about the gross brownie. Yesterday, my friend showed me her Claudia Schiffer workout videos. They’re all really basic workouts which only require a mat and chair, because Claudia, being a jet setting model and all, needed something that she could do regardless of where she was even when she didn’t have time to go to the gym. They’re super tough though. Claudia swears by them. They’re a bit old now – I guess they were vhs tapes, but my friend has a digital version with helpful Korean subtitles. My friend said the videos definitely work and she at one point was investing 2 hours a day in them! 1. Get the videos. This involved finding and cleaning out my usb key. Complete! 2. Review the videos to make sure they don’t involve potentially unsafe moves or fads. Complete! Looks safe. 3. Make sure I have the proper equipment. Well, Claudia works out on a mat that looks a bit cushier than my yoga mat. At first I thought I could make do with my yoga mat, but then I started worrying it doesn’t offer adequate support so I started browsing on amazon. But then I remembered my RBC Visa card is cancelled because they found $21 of fraud on it, so then I decided I can probably live with my yoga mat for a while. Complete! The only other piece of equipment required is a wooden chair. Luckily I already have one – it’s part of the Ikea bounty I harvested from my parents house before I moved out. Yay! 4. Think about doing the exercises. Will this workout fit into my exciting, cosmopolitan lifestyle? Is Claudia a good role model for me? I thought about it on my way to work today and concluded, yes! I can do this. I googled her and it’s all good. Claudia paved the way. I will follow. Step complete! So as you can see, only one step left. Hehe. I’ll keep you posted. … is apparently 12 minutes behind the leader. Every time I hear about him I think about how apparently, my coworker’s ex girlfriend’s college acquaintance is apparently pregnant with his baby. My Korean friend came back to visit SF and she stayed with me again. I think the last time she stayed with me, we didn’t know each other that well, and I was pretty new here, so i remember the experience being a little formal. This time, it wasn’t formal at all and it was fun! I think … she’s the first visitor I had all year? Yeah, except for my dad and my brother back in April, and my friend from LA who stayed for a bit, yeah, I think so. Hmm. Anyway, she brought me this Korean pancake mix that lets you make this delicious peanut pancake creation I ate back in Korea. She also brought some kimchi instant noodles and a few other snacks. We (mainly I) feasted on all that stuff tonight. I also made some rice and an improv spinach stew to round things out. Mm! I’m in my post-dinner coma right now. I’m a bit tired out from slaving over the stove, but very full and happy. Just so you know, we had two pans going for the pancakes so managing those really does count as “slaving”!! I’ll post a couple of photos for you! I was talking to a friend last week who was telling me how funny it is to talk to tourists in San Francisco. “They get so excited about taking the bus!” She was incredulous! I told her the bus was so fun when I moved here that I even wrote a blog post about it! It’s funny thinking back to those days, when everything was new. The fog, the bay, the colourful vistas, the old crumbling buildings, the hipsters, the bicycles, the flowers, the sailboats, the hills. I still love it here, but it’s different now. I’m used to it. I think part of the reason I haven’t been blogging as much is that the things that get me excited these days aren’t as newsworthy. For example, I discovered freeze dried blueberries at Trader Joe’s. Yes, first of all, I started shopping at Trader Joe’s. I don’t buy the tragic containerized produce there, but I do buy dry and packaged stuff there. The Israeli couscous is awesome. Anyway, freeze dried berries on cereal is just about the most delicious thing ever. So I was obsessed with eating that for a while. The other issue is just that I have a normal life here now which keeps me busy with things and prevents me from doing some of the “I’m going to go check this out” type stuff I used to do during the first year. I’m busy enough that when I have nothing to do, I take advantage of that and take a nap! No, not really. But I did see the Russian President’s motorcade yesterday on my way to work. Cops on motorcycles had stopped traffic, so all pedestrians and cars had to wait to cross the street. I’d seen Obama’s motorcade before he was president, so I know the deal. It’s exactly like it is on 24 – a bunch of cops, flashing lights and multiple black SUVs, all with Maryland plates. Yes, they pack their own cars when they go on the road. The Russian Presidential motorcade was crazy though – one of the SUVs was full of commandos packing machine guns. They had all the windows down too, so you could clearly see the commandos with their guns. Plus there were like 6 black Maryland SUVs and a couple European Benz’s, and a fire truck! Apparently he was in the bay area to make a speech at Stanford and meet the cofounder of Google. Later that day I saw the Mayor of San Francisco giving a speech with some protestors. That guy is slick. You can pick him out in a crowd.